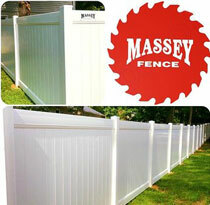 Massey Decks and Fences can design and install vinyl fencing around your farm or home property in these Southern MD areas: Leonardtown, Lexington Park, Charlotte Hall, California, Mechanicsville, Wildewood, Hughesville, Great Mills, Hollywood, Barstow, Broomes Island, Chesapeake Beach, Dowell, Dunkirk, Huntingtown, Lusby MD, North Beach, Owings, Port Republic MD, Prince Frederick, St. Leonard, Solomons, Sunderland, Waldorf, La Plata, White Plains, Hughesville, Indian Head, and Bryans Road. Has a lifetime warranty against peeling, flaking, corroding, and discoloration. 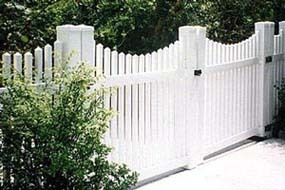 Massey Decks and Fences has contemporary to traditional styles to choose from and two colors of tan and white to give more curb appeal to your home.